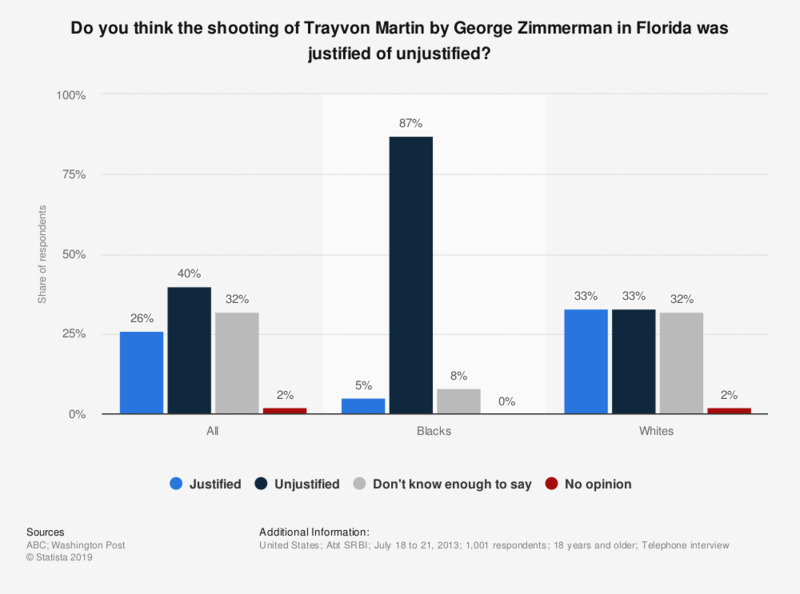 This statistic shows the opinion of Americans on whether the shooting of Trayvon Martin by George Zimmerman in Florida was justified of unjustified. The survey refers to the case in Florida in which the neighbourhood watch volunteer George Zimmerman, shot and killed an unarmed teenager, Trayvon Martin. According to the survey, about 87 percent of the Black respondents thought that the shooting was unjustified.